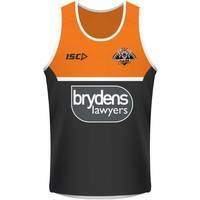 Train like the pros in our Wests Tigers 2018 Youth Black Training Singlet! 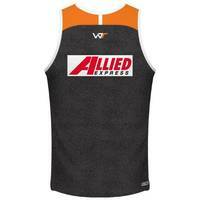 This singlet is designed for optimal performance and features strategically positioned mesh panels to assist in keeping the body cool and comfortable, even in the hottest conditions. 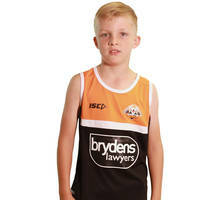 The perfect kids singlet for everyday wear.